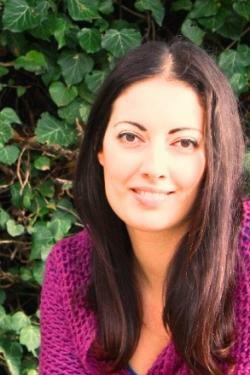 The end of her work contract was for Dimitra the right moment to create her own business. With a background in psychology she wanted to offer therapeutic services to jobless people. Not knowing from where to begin Dimitra started looking for a helping hand and came across the ‘Erasmus for Young Entrepreneurs’ scheme. The programme was a chance for her to gain useful knowledge from an experienced entrepreneur and reach a foreign market at the same time. She went to Cyprus and spent three months at Roll Out a production company in Nicosia which organises cultural events. During the exchange Dimitra developed her entrepreneurial skills acquired competence in event organisation and video making developed skills in new technologies and built up a network of professional contacts. Returning to Greece with strong self-confidence and innovative ideas for her business Dimitra formed PSY-CHE in October 2013. Based in a small village in the mountains in Pelion the business offers virtual psychology services through web magazines online workshops and events that she organises in Athens. Meanwhile Dimitra hired one employee and is now set to expand her services to Cyprus. She is also working on a book and is developing videos that will be broadcasted online. Soon she will organise events in her region to encourage interaction with the local population. "The Greek market is very limited for entrepreneurs because of the financial situation in the country. With this experience I discovered that there is a big market abroad that I can reach with new technologies”.